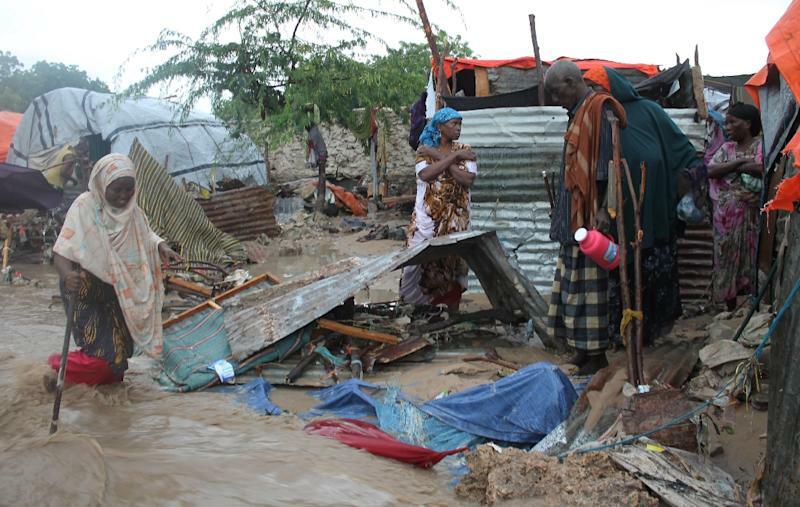 Mogadishu (AFP) - Over 90,000 people in war-torn southern Somalia have been hit by weeks of severe flooding, almost half of them forced from their homes, the United Nations has warned. "More than 90,000 people have been affected since October 23 and an estimated 42,000 people displaced as a result of the flash floods and river flooding," the UN Office for the Coordination of Humanitarian Affairs (OCHA) said. Hardest hit are the southern Somali regions of Bakool, Bay, Lower Juba, Middle Juba and Middle Shabelle, with flash flooding in late October, the UN report released late Friday read. Fighting continues in many of those areas between Somalia's Al-Qaeda linked Shebab insurgents and government and allied forces, backed by an African Union force that counts more than 20,000 members. The UN said that while rains and river levels have now eased, the risk of more flooding is not over. "Thousands of people in the low lying areas of the southern and central parts of Somalia remain at risk of flash and river flooding," the UN added. Somalia is hit by seasonal flooding most years, but weather experts also warn of the risk of floods sparked by the El Nino weather phenomenon. The UN last month warned El Nino could drive the number of people needing aid soaring by over 80 percent, from some 12 million people at the start of 2015 to over 22 million people by the start of 2016.